New acts are being announced every Friday so keep an eye on official Van’s Warped Tour site for further updates. The 2013 Van’s Warped Tour will kick off on Saturday, June 15 in Auburn, WA at the White River Amphitheatre and wraps up on August 04 in Houston, TX at Reliant Center Parking Lot. 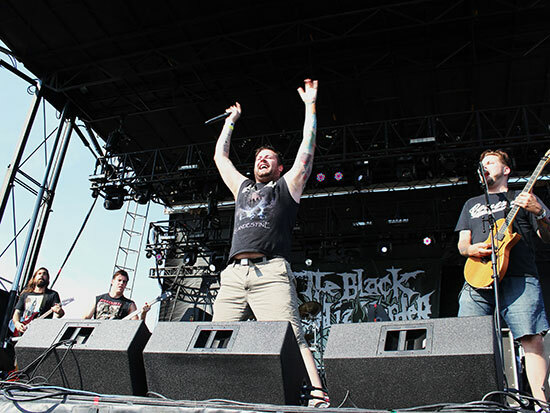 THE BLACK DAHLIA MURDER is hitting the Roseland Ballroom in New York City tonight, which marks the final night of The Dethklok North American headline tour that also features All That Remains and Machine Head. The band will be at home in January before embarking on a 26-day tour in Europe with headliners and label mates Cannibal Corpse along with DevilDriver and Winds of Plague.